St. Patrick’s Day is coming up! I am not Irish, or very lucky, but any chance to celebrate I tend to love. 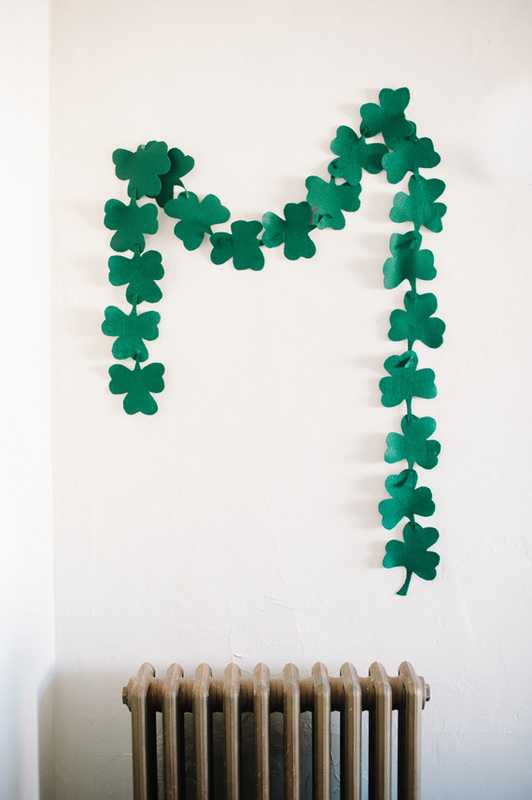 I made this felt Shamrock St. Patricks day garland to decorate our house in about two minutes – it is the easiest garland I’ve ever made. By connecting the felt pieces through small slits I didn’t even need glue, and it fits in perfectly over the “pot of gold” heater. 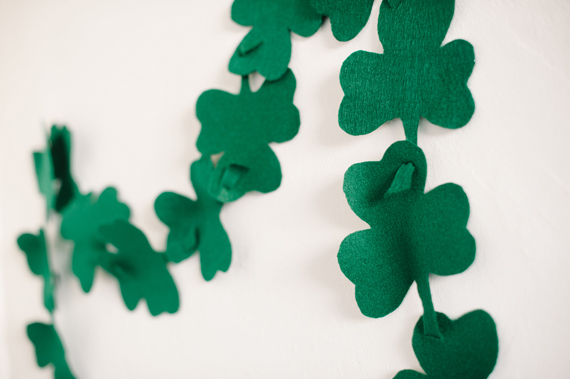 First, hand-drawn or trace a shamrock onto green felt. Cut the shamrock, then cut a small slit in the first clover. String the shamrocks together through the slits and hang over something gold. No pinches for you with these cute St. Patrick’s Day accessories. SHAMROCK BALLOON. PERIOD. A must-have! Eat your way through the rainbow with this Magical Rainbow grilled cheese! yum! So, what are you wishing for on this Lucky day? For me… All the pizza without it going to my hip. That’s reasonable right? 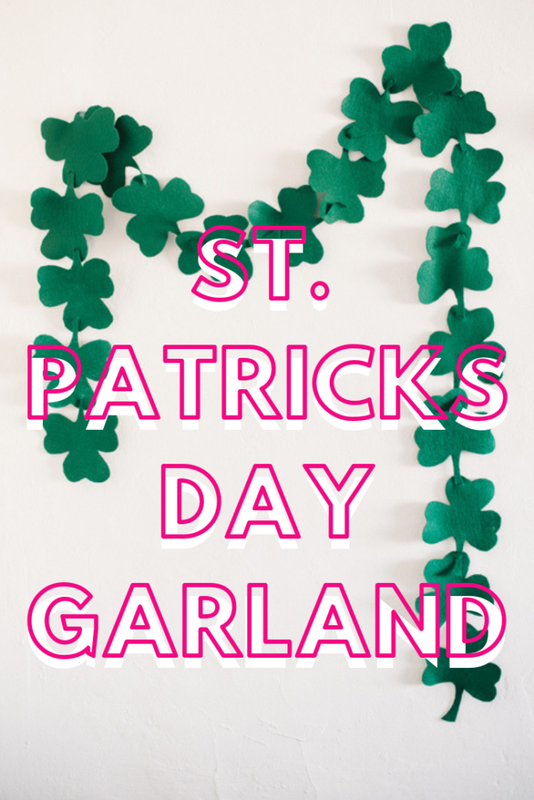 Let us know in the comments what your St. Patricks Day wish is! Photography in collaboration with Pictilio. 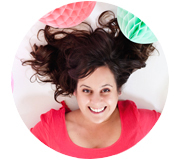 « April Class Registration is Open! So fun and festive! We’ll be getting my craft on with this! Thanks!